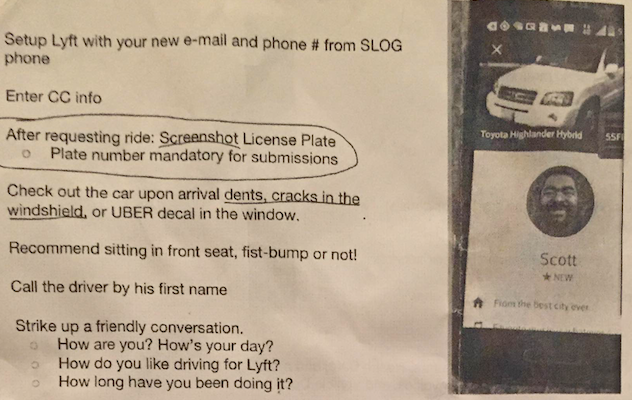 An Uber "brand ambassador" in Chicago spoke on the condition of anonymity about the company's practice of persuading Lyft drivers to convert to the rival service. "This summer I was looking for part-time work in promotions and scanned Craigslist to find something, hopefully in street fests or events. I browsed until I found a job listing for 'brand ambassador' and applied. I remember the job listing being pretty nondescript—it didn't say who I'd be working for. Turns out it was for Uber. "What brand ambassador means is that I try to convince Lyft drivers to convert to Uber—either exclusively or in addition to Lyft. Here's how it works: Uber provides me with a burner phone and a credit card and I create a new Lyft account. I call Lyfts with Uber's phone and go on, oh, about ten rides a week. Nothing too long, all under $10. Then I'll look to see if the driver has an Uber sticker in their window, because a lot of drivers do both—probably 60 percent. If I don't see one I'll start with some pleasantries, then ask why they don't use Uber and go from there. It's usually a simple pitch: I talk about the benefits of driving for Uber and offer them a $500 incentive for a certain amount of rides. If they take at least one ride with Uber, I get paid. "Fist-bump or not!" 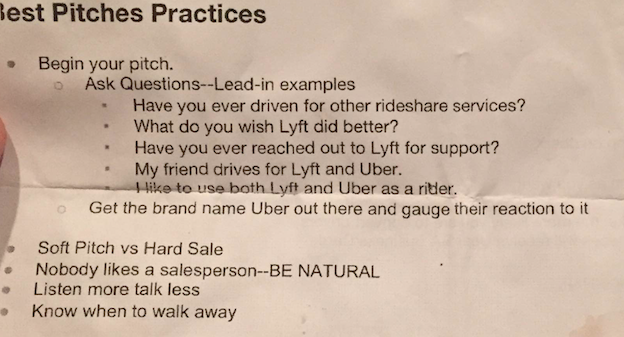 A page from an Uber training guide recommends how brand ambassadors should approach Lyft drivers. "I don't say who I am right away, but I do eventually and usually say I'm an independent contractor for Uber. Drivers are usually open to talking about it—they tend have a strong opinion one way or the other. Sometimes they're very loyal to Lyft and things don't go so well. I had this one woman who got silent for the rest of the ride once I brought it up. Another reported me to Lyft and my account got banned. I had to notify Uber and get a new phone number and had to create a brand-new account. Drivers that are loyal mostly talk about poor customer service from Uber. Some also say Lyft passengers are nicer, which I think is BS because it's the same pool of people. It's just perception over reality. Probably because the poor press Uber has gotten—especially in France. It's just misdirected as extra love for Lyft. 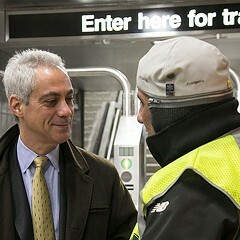 "I have no idea how many others in Chicago do this. 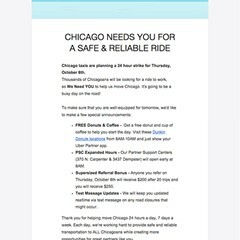 All my communication with Uber is done remotely through e-mail or webinars. Once I met a driver who said she'd already encountered two brand ambassadors, so there could be a strikingly large amount of people. It's a great third job for me because I've always liked talking to cabdrivers and I'm naturally a talker. I tend to ask them how long they've been driving and I've had people say they've been driving for 12 hours straight. 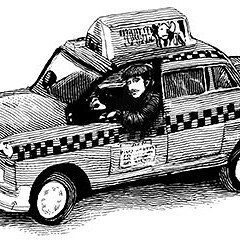 One ride I remember—it was two in the afternoon and the driver said he'd been driving since two in the morning. That's crazy. I don't like how there are no regulations from either Lyft or Uber on this. 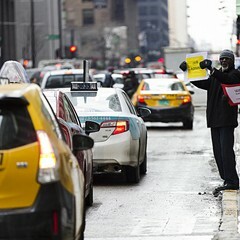 "It's basically a bunch of free cab rides and a chance to make some extra money on the side. It's funny, though, because I don't actually get free Uber rides, just Lyfts. Sure, maybe it’s a little aggressive, but I always give five stars to the drivers and I'm never openly rude to them. I see it as I'm just presenting an opportunity."